Place architecture:design is an award-winning, custom residential, architecture firm. Our expertise lies in providing innovative design services while managing the complexities of the construction process. We work together to determine the best solution that will benefit the project, the environment, and, ultimately, your family. We take pride in being stewards of our environment, designing with sustainability in mind. As an integral part of our design process, we incorporate sustainable features that are smart choices. This ranges, from site orientation; cross ventilation; day-lighting; material and product selection; lighting; energy-efficient systems; and appliances. Place architecture:design is a full service architecture firm that will help prioritize and synthesize your ideas. We listen, we care, we share your vision; we are your advocate. Feel free to reach out to us, we would love to hear from you! Kutner Architect Builder Remodeler, is a multi-award winning residential architecture and remodeling company in Lutherville, Maryland, serving the greater Baltimore area. Our firm specializes in custom additions and renovations, creating beautiful spaces embracing natural light, using green technology and energy efficient construction materials. Robert Kutner, founder, is a Maryland Licensed Architect and has been in the design and building business since starting the firm in 1991. Bob has personal experience with accessible design, having designed and built a family home for his daughter who has cerebral palsy. As well as universal designed homes, current requests for projects include; front entry re-design, in-law and first floor master suites, kitchens, baths, sunrooms, home theater entertainment centers and outdoor living environments. What projects may we help you with? Baltimore Architect Best of Houzz for Design & Service! An award-winning Baltimore area firm, Penza Bailey Architects provides architecture design, interior architecture, and planning services for private and public clients of all sizes. Our firm's private expertise includes custom residential, featuring specialization in new design, additions/transformations, waterfront, and historic. Every residential project, renovation, addition, or new custom home, should begin by not only discussing your vision, but by talking about how much you think you want to invest in this endeavor. Together, we will evaluate what can be accomplished within your working budget. We look forward to working with you in not only creating the home of your dreams, but also making the process a fun and rewarding experience. 2e Architects has won BEST OF HOUZZ for 2014, 2015, 2016, 2017, 2018, and 2019 for both DESIGN & SERVICE! 5 consecutive years for BOTH!!! We are a boutique residential firm that offers architectural services for the design of custom "one of a kind" new homes, renovations and major additions. Every design is an original creation tailored to the unique needs and goals of each client. The ONLY architect in Baltimore that offers both VIRTUAL REALITY and UNLIMITED 3D renderings to ensure our clients fully understand the design of their homes. This way, my clients continually make the best, more personnel, decisions for their homes. As you can see by the profiled projects we offer a very wide array of styles. This is intentional. We will actively listen and work to learn YOUR style, and then sculpt that style, with your wants and needs, and your dreams into your home. Please call us at 410-583-2112 to discuss your project. Mission: Empower clients, creativity and the human experience with broad collaboration through a process where design leads new solutions to traditional & non-traditional challenges. Philosophy: We are creative professionals who believe design must lead solutions. Alter Urban and our team of collaborators trust in the ability of great design to add value that improves human experience, engenders progress, and promotes joy in our homes, offices, landscapes and cities. Each design challenge presents an opportunity for the betterment of function and beauty - an opportunity we meet with passion and imagination. We specialize in new homes! BTW Construction LLC is family owned and operated home improvement company located in Harford County Maryland. We perform all levels of home building and home remodeling in Harford and Baltimore County Maryland. We offer start-to-finish solutions for every project. We also offer full design services. We specialize in interior or exterior home renovations, including bathroom and kitchen remodeling, home additions, garages and more! We guarantee high-quality construction for each and every project. We are one of the top home improvement companies in Harford County. Check out samples of our work,and you'll agree that we're the best choice for your home renovation project. “Sometimes the greenest thing you can do is less.” Voted Best of Houzz every year since 2015, Best of Baltimore 2013 and 2011, we are your indispensable green builder & sustainable general contractor. We do impeccable eco-friendly renovations and additions with gorgeous detailing and exceptional service. We use local, renewable, sustainable, and healthy materials chosen for durability. We buy locally and use local craftspeople. What sets us apart the most, however, is not what we do, but HOW we do it. And how we do it comes from CEO, Polly Bart. She knows renovations or remodels can be a trying and difficult experience for many homeowners -- but her incredibly careful attention to detail, remarkable problem-solving skills, and conscientious attitude makes Greenbuilding with her an experience you and your whole family will actually enjoy. As one of our clients put it “she is not your typical contractor in the best of ways.” Polly contains a unique set of skills -- she is a PhD in urban planning, Harvard-trained in design, and LEED-accredited expert all combined into one general contractor to create Greenbuilders thirteen years ago. These skills help her provide a unique design/build approach that exceeds all expectation. She is transparent and candid about the big three with clients -- cost, budget and timelines -- leaving homeowners not only in touch with the “process”, but in fact feeling like “they are all in it together”. Kitchens and baths are our specialty -- but also solar, geothermal, green roofs, timber framing, straw bale, insulation, natural clay plaster, LED lighting, sunrooms, skylights, outdoor decks, patios, stonework, permeable pavements, kids workshops, passive house (passivhaus) technology and much more. In fact, we design to your budget, either through design/build or with an architect, where the builder, homeowner, designer, and engineer are all at the design table form the first conversation. A stunning green remodel requires more thought up front, but does not need to cost more, especially if you find ways to narrow the project to just those things that really need to be changed. Broadening your definition of green to areas other than energy use allows you to be of clear and obvious benefit to the environment, increase your comfort, and give you style & long-lasting value. BEST OF HOUZZ 2015, 2016, 2017, & 2018 Purple Cherry Architects is a high-end residential architecture firm serving the Eastern United States, with offices in Annapolis, MD, Charlottesville, VA, and Middleburg, VA. Our firm specializes in custom, luxury residential projects featuring elegant architectural detail and beautiful spaces that excite and reflect our clients. Our Principal, Cathy Purple Cherry, brings 25 years of experience to her work; the firm aspires to a level of beauty in the homes it designs through views, details, and planning strategies that are awe-inspiring. Our firm’s designers are talented, visionary, detail-oriented, and attentive. We utilize technology to its fullest as a visual and education tool. We encourage our clients to create virtual idea boards to help us capture their preferences and inspirations. Our firm has extensive knowledge and experience with the intricacies of working on waterfront properties and critical areas. In addition, as a LEED accredited professional, Cathy Purple Cherry has the knowledge and capability of integrating sustainable strategies into the design of clients’ homes at their request. 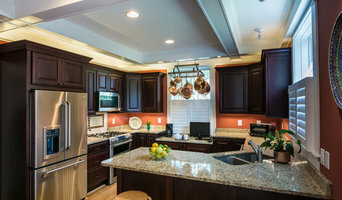 Established in 1985, FineCraft has a longstanding tradition of creating award-winning custom homes, additions, remodels and renovations throughout Maryland, Washington D.C., Virginia and Florida. We’ve completed thousands of projects, and have demonstrated professionalism, high quality and reliability time and time again. It's not, however, only about the house projects we build. For over 30 years we've built lifelong relations with our clients, and it's these relationships, along with our quality craftsmanship, that has been the vessel that's taken us this far. At FineCraft we want our clients to be serviced quickly and efficiently. That's why we came up with a fast and easy way for people to receive kitchen and bathroom estimates. We call it InstaQuote - the fast and easy way to get your quotes on the go! 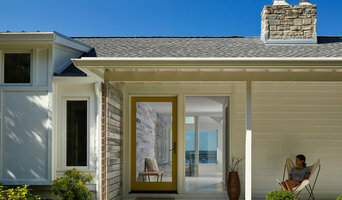 Try it out by submitting your project inquiry at www.finecraftcontractors.com. Don't have the funds to get started? Don't worry, we can help you. Just ask us how and we’ll get you going. We look forward to working together in building your next house project. F C Batton and Son, Inc.
Four Brothers is a full service design + build firm serving the Washington, DC metropolitan area. Our skilled team of architects, designers and craftsmen share a commitment to customer service and quality craftsmanship. We approach our work with great pride and believe courtesy, accountability, integrity and communication are the keys to a successful project. This commitment has helped us build a broad base of loyal clients who continue to refer family and friends. We thank you for considering Four Brothers, and invite you to tour our online gallery at Houzz. With a focus on delivering remarkable client experiences and superior construction quality, BOWA specializes in renovations ranging from master suites and kitchens to whole-house and whole-condo remodels. For nearly 30 years, our design build experts have been guiding clients from the first thoughts of the project, throughout architecture and construction, and continuing through a lifetime of ownership. And, consistently, 95% of clients rate BOWA a 9 or a 10 when asked if they would recommend the company. BOWA’s commitment to customer service and industry-leading budget guarantee, schedule guarantee and warranty are cited among their reasons. BOWA proudly serves clients throughout the Greater Washington area and Virginia’s Horse Country. Moser Architects, PLLC is a full service residential architecture firm offering custom home design and construction administration to both homeowners and contractors. We specialize in custom new homes, large additions and whole house renovations. We create innovative ways to layer spaces and improve flow within a home while utilizing the footprint and improving neighborhood character. Claude C. Lapp Architects, LLC is a distinguished and award-winning architectural firm specializing in the practice of custom residential architecture in the Washington, D.C. area & beyond for over 25 years. Our mission is to provide our clients with the highest-quality design suited for their lifestyles, expectations, and budget. Call today for a complimentary consultation. Meet WINN design+build, a team of architects, interior designers and contractors. 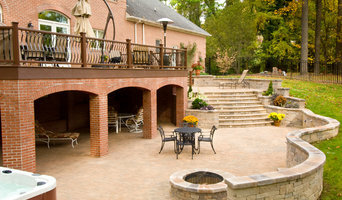 We specialize in residential design and construction in the Washington DC area. With an eye for creativity and the muscle to build well, our team can fully integrate architecture, interiors, landscaping and construction methods. The end result for our clients is a highly personalized home from the inside out, with well-developed space planning, careful detailing and high-quality construction. 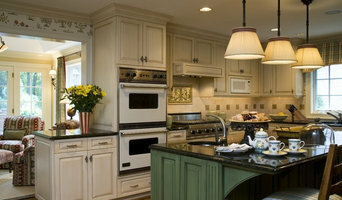 We specialize in upscale remodels, major additions and new custom homes for discerning clients. Owner Michael Winn founded the firm in 1996 and has been featured by HGTV, The Washington Post, Forbes Magazine, Entrepreneur Magazine and the Washington Business Journal in representing both WINN design+build and the remodeling industry as a whole.